This blog first appeared in September 2108 on the official blog of The Campaign for the American Reader, an independent initiative to encourage more readers to read more books. 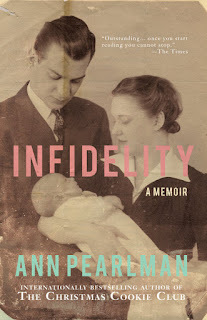 Marshal Zeringue added this about the book: “Ann Pearlman has won vast critical and commercial success for her fiction and nonfiction books. Keep the Home Fires Burning: How to Have an Affair With Your Spouse garnered the attention of the Oprah Winfrey Show and was featured on many other talk shows. Her memoir, Infidelity, was nominated for National Book Award and a Pulitzer Prize, and made into a Lifetime movie by Lionsgate. Inside the Crips, with a foreword by Ice T, took readers into the life of a Crip gang member and the California Prison system. Her first novel, The Christmas Cookie Club, became an international bestseller, spawning cookie exchanges and a follow-up cookbook. A Gift for My Sister won first place in the Sharp Writ Book Awards, 2013. She lives in Ann Arbor, MI. Thank you for letting me appear on your blog and also for encouraging more reading.